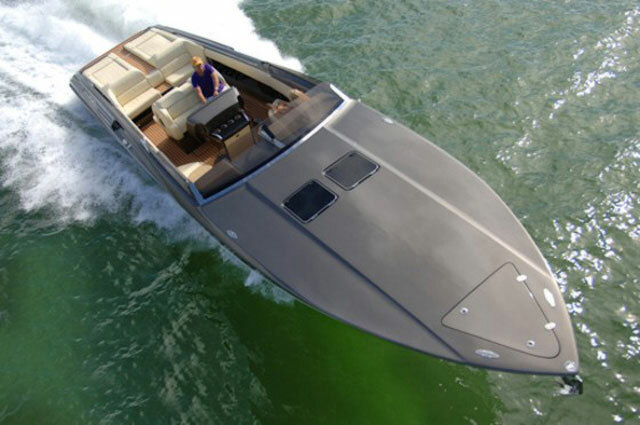 Designed with the superyacht tender market in mind, there's little doubt that the Cockwells 650 SR would make a brilliant all-rounder. 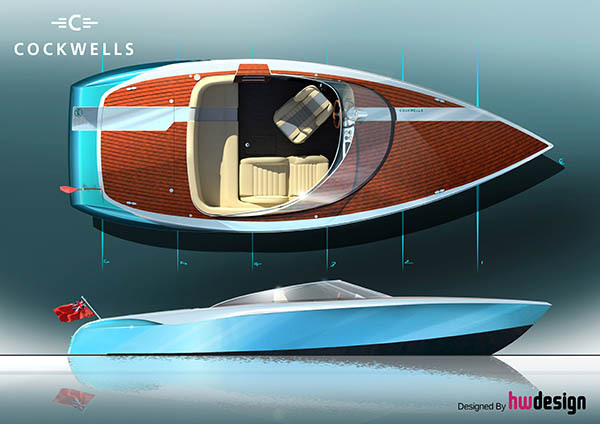 The Cockwells 650 SR asymmetric design is very striking and peculiarly practical. 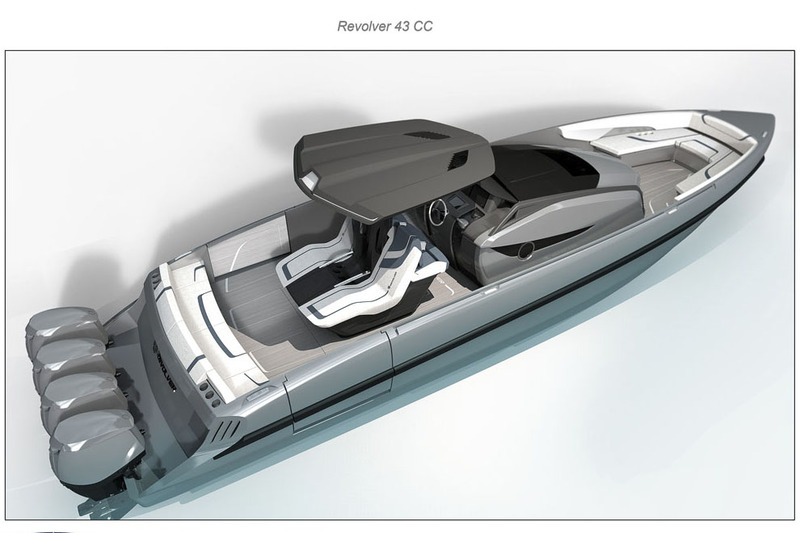 Conceived by bright young designer Henry Ward, the new 650 SR (Sport Runabout) is a strikingly asymmetric plaything, with a wraparound screen that stops short on the port side to generate an easy embarkation point for passengers. 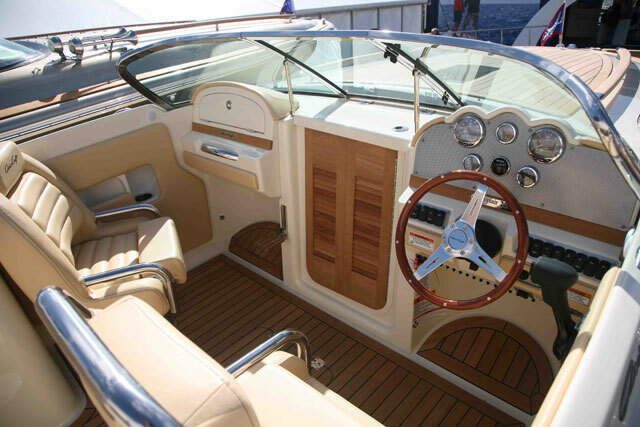 The helm seat is also positioned slightly further forward than the nav seat to help create the extra space required for easy movement around the cockpit. No cockpit is complete without a concealed Champagne locker. 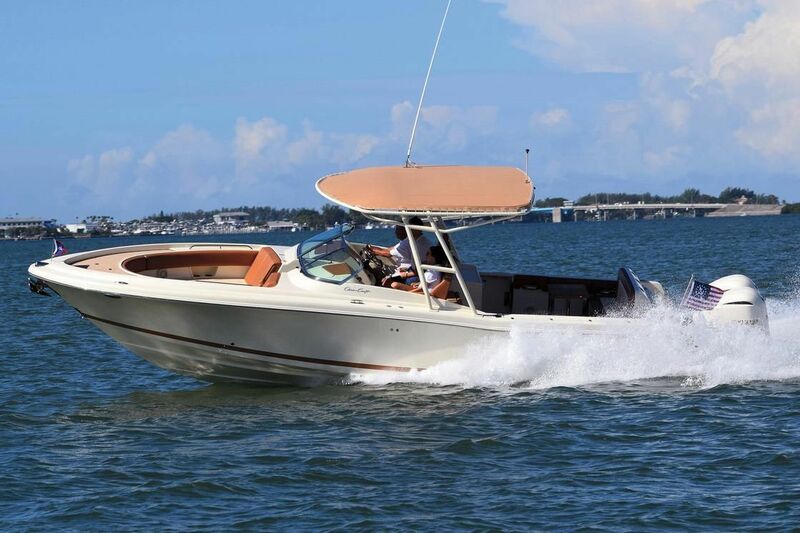 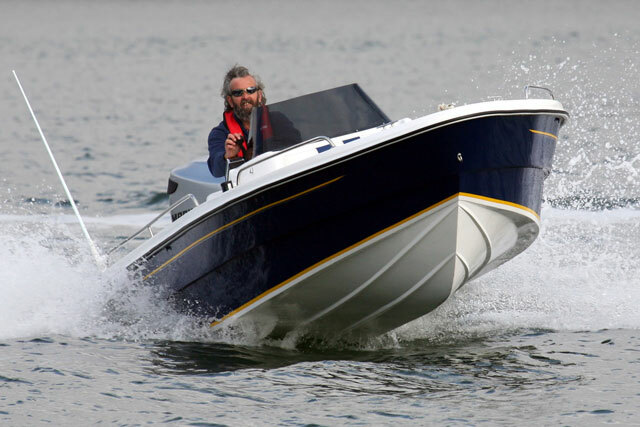 Powered by a 155hp Weber motor, the 650 should be capable of around 34 knots, which makes it ideal for watersports – and with a shallow draft and jet propulsion, it also looks very useful as a tool for nosing close in to beaches for exploration and picnics. 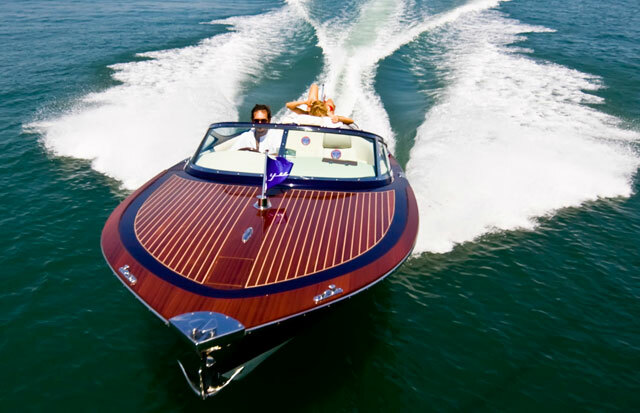 To add variety to your day out, inboard entertainments include a Fusion marine stereo, a neat, retractable swim platform, a Champagne locker beneath the port side of the aft bench and a pair of helm seats that open out to create twin fore-and-aft sunpads. 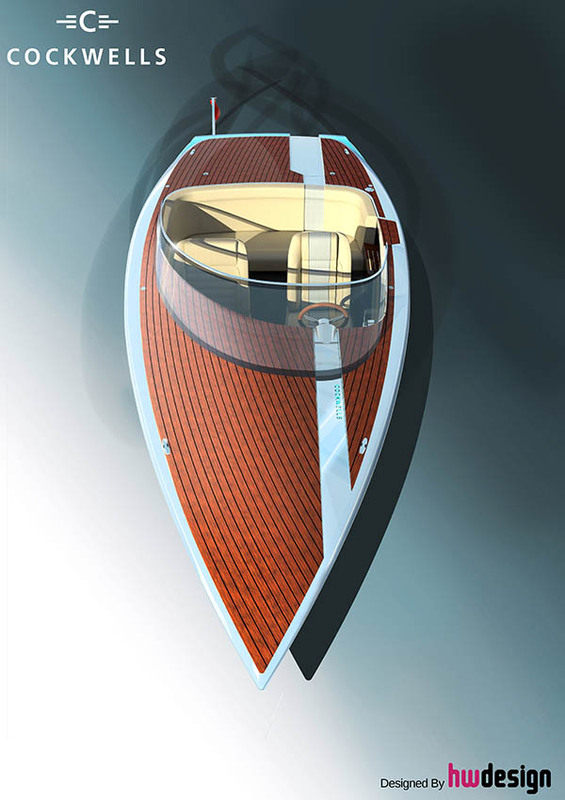 This delicious looking piece of design uses a lightweight composite hull finished with non-slip metallic Awlgrip detailing, plus pleasantly swept teak strips that mirror the asymmetry of the screen and cockpit – and while it will no doubt rouse big interest from the superyacht tender brigade, it ought to be just as effective as a standalone boat. 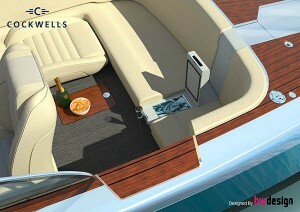 If you want to find out more, you can get in touch with the designer himself by emailing henry@henryward-design.com. 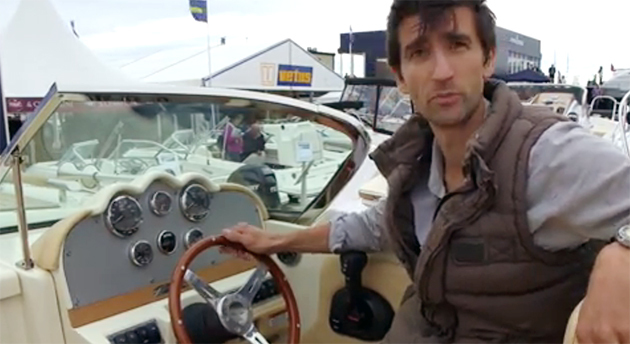 If you love a bit of handmade originality, then British boatbuilder, Cockwells is made to measure: Cockwells 9.5 tender: First look video and they feature in www.boats.com: 10 great British boat builders.